24V DC motor provides quiet operation. Quick, effortless limit setting for faster installation. The garage door opener does NOT run from the wall console. – Plug a lamp into outlet used for powerhead. 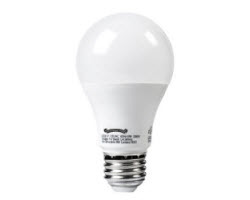 If lamp works, power source is OK.
– If not, check fuse or circuit breaker. – Check connections at powerhead terminals and at wall console. Check for reversed, broken or cut wires. Staples can cut insulation and short wires. Repair or replace. The garage door opener runs, but door does not move. The garage door opener works from wall console, but NOT from remote. Make sure carriage is engages with chain/belt bullet. Check to make sure chain/belt in not broken or OFF its pulley. Check all garage door opener remotes. Replace garage door opener remote battery with a good one. Program garage door remotes to powerhead. 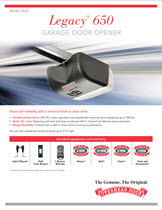 The garage door opener remote has less than 25 feet operating range or no operation. 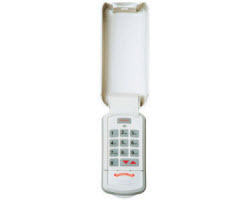 Relocate the garage door opener remote inside the car and /or point remote at the garage door. Replace the battery in the garage door opener remote. Reposition garage door opener antenna. The garage door starts down, then STOPS and goes back up. 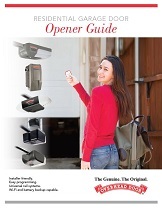 If a your garage door opener is a NEW installation, check the Door Arm position. 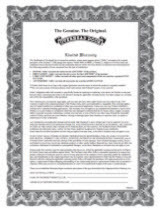 Check if limits are properly set. Check if the Safe-T- Beam® red LED is flashing. Check the Safe-T-Beam® system for beam obstruction or misalignment of lenses. Check the garage door for binding. If an operational problem exists, and the garage door opener will not close, the garage door opener can be forced to close as follows: Press and hold the wall control button until door is completely closed. Check for interference from adjacent Safe-T-Beam® units. The garage door starts up, but STOPS before it is completely open. Be sure the garage door, the garage door opener, and the springs are in good condition, properly lubricated and balanced. WARNING: If you suspect a problem with the garage door hardware or springs, use the locator to hire a local garage door service professional. NEVER try to repair garage door hardware or springs yourself. The garage door will only run closed. Check if the limits are properly set. Check the garage door balance, condition, and garage door spring. WARNING: If you suspect a problem with the garage door hardware or springs, use the locator to hire a local door service professional. The garage door opener starts for no reason. Button stuck on wall control or remote. The garage door opener has a noisy operation. Be sure all door fasteners are tight. Be sure garage door is in good repair, properly lubricated and balanced. Be sure opener is in good repair. The garage door opener runs slow. 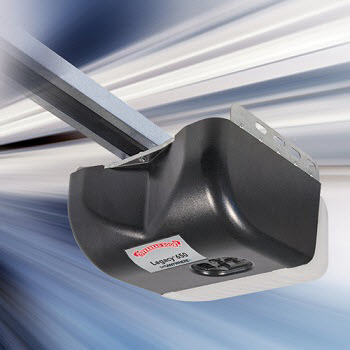 Have you installed this garage door opener on a one-piece garage door? 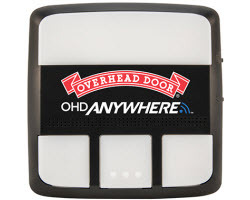 This garage door opener is not designed to operate a one-piece door.